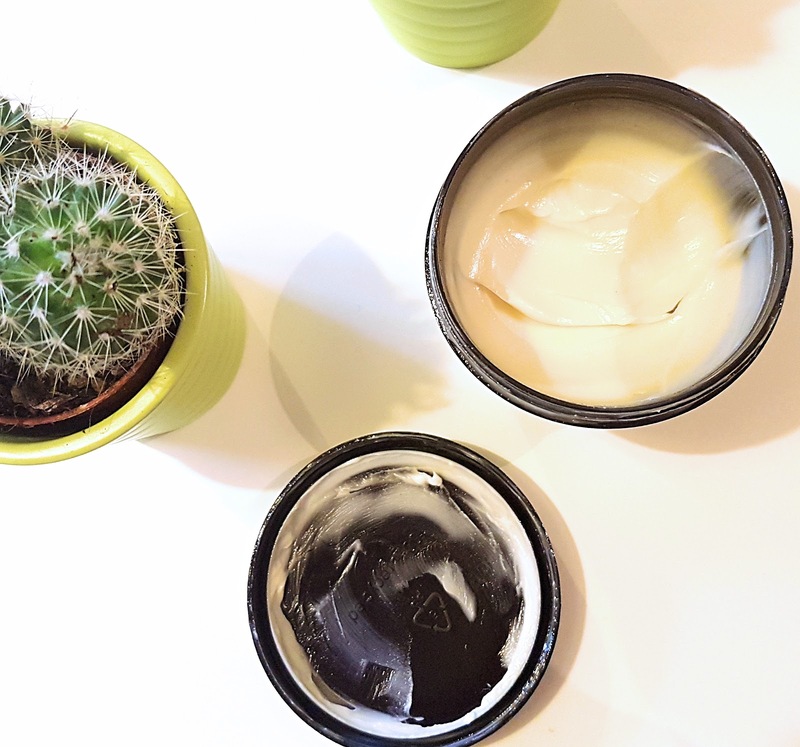 I'm relatively new to Lush's skincare range. I was always an avid bath bomb and bubble bar fan and recently became a fresh face mask fanatic when i attended my first Lush event but was never up to speed with their alternative skincare products. 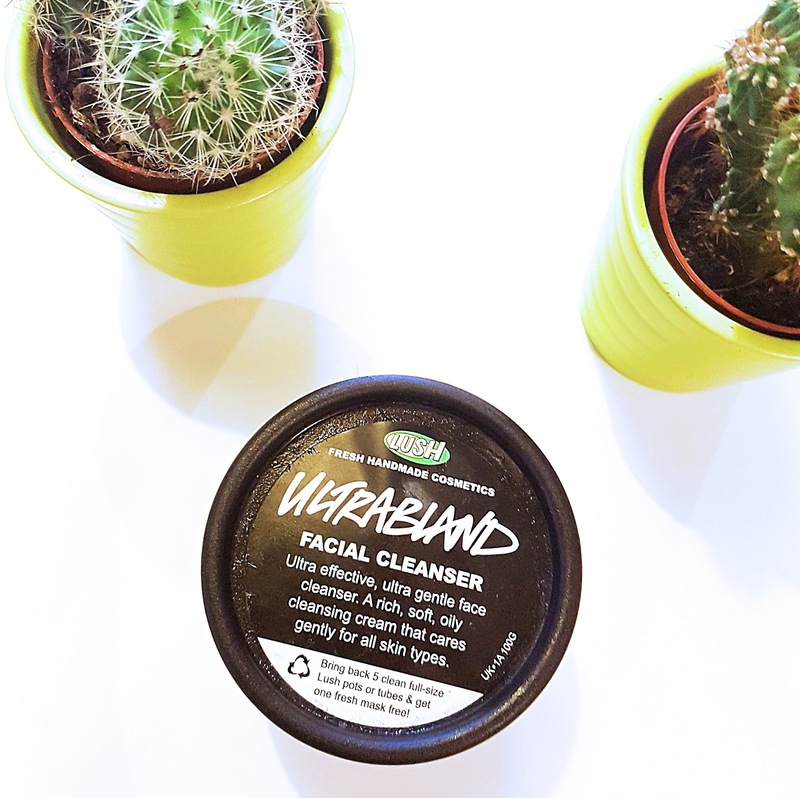 I often saw other bloggers and friends raving about their cleansers and decided i'd pick myself up a little treat in the form of Ultrabland. Ultrabland is an oil based cream cleanser for your face. It contains almond oil, rose water, beeswax and honey. It soothes, hydrates and the honey gives it moisturising and antiseptic properties as well. To use, you take a small amount on your fingers and massage into skin and it melts away make up. I usually run a flannel or muslin cloth under warm water to remove it. I was sceptical at first as i had never used an oil based cleanser before and my skin is super oily, reading the reviews on the Lush website, a lot of people said it was very hydrating so possibly not good for those with oily skin but i took the plunge anyway. After all, it is referred to as the Lush founders number one desert island product! I'll be honest, when i first massaged this cleanser into my face i didn't like the feel of it. It felt strange to be massaging an oily cream into my face and i definitely wasn't used to it. As i started using it more, i became used to the feeling and now it's my ultimate favourite cleanser. It removes all of my make up easily without irritating my skin, it hydrates at the same time and leaves my skin feeling so smooth and soft. In terms of how it affects my oily skin, i haven't noticed any change in either more or less oil so i'm happy for that. Safe to say I am not looking back! Ah I love this cleanser! I was like you and struggled with the feel of it at the start, but once I got used to it I fell in love. My skin always feels so soft afterwards too. So glad you like it! I bought this recently! I actually have a blog post scheduled for this haha my skins usually so dry but this makes it so much softer! love this post!